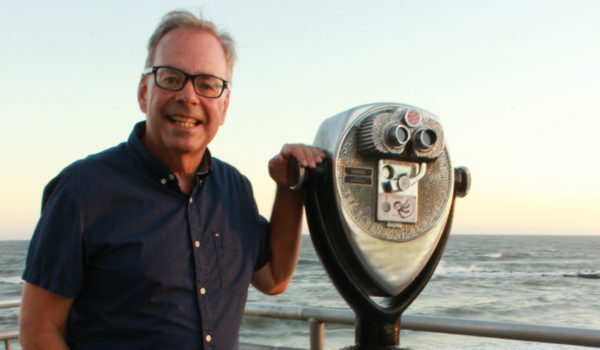 A lifetime of experience and a great love of music have given Bill Scheible the privilege to be the conductor and artistic director of the Ocean City Pops. The maestro of the Pops has put on fantastically entertaining shows for 32 years, but now his era is coming to a close as he announces his retirement. Ocean City Magazine wanted to catch him to see what he has taken from that experience of a lifetime, and where he intends to go next. – by Nick Matousch. Photo by Bill Godfrey. What initially got you into music? My dad introduced me to the trumpet. We played together in church. My brother and I joined the Philadelphia Boys Choir when I was 11. What are some necessary skills for being a maestro? You need the skills to understand music, but you have to enjoy variety. You have to be very open to exposing people to variety. I keep in mind to not think of it as a heavy job. It has to be a light and fun experience for the audience. Trumpet is my main instrument, and I play a little piano. I can also play all the brass instruments enough to teach the kids in school. Where has your musical career taken you? When I was a boy in my church choir I travelled to a festival in Vienna and Prague. After college I played for a symphony choir in Venezuela that took me all over South America. How were you introduced to Ocean City Pops? My family always vacationed in Ocean City. The summer before I went to college, my dad heard there was an opening for a trumpet player. I auditioned with the conductor, John Warrington, and got in. I applied to the conductor position after the following conductor Frank Ruggieri announced his retirement and was selected out of a pool of 25 candidates. As the conductor, what was your vision for the Pops? When I was playing as a student, singers came to Ocean City to perform, but they had to pay for their own accommodations and earned practically no money. I felt like we needed to start a volunteer group, so I started Friends of Ocean City Pops. A big goal of the program was to raise money for accommodations, so performers could benefit financially from their performances here as well as having a successful gig. Have the goals of the Friends of the Pops evolved since its founding? The Friends of the Pops still raises money for accommodations, but now we are also branching out. This fundraising committee has allowed us to expand our musical library, as well as enriched the experience within the Music Pier. It’s helped us create the Broadway Series, the Children’s Lollipop Series, and most importantly, fund musical education in the surrounding area. What are some highlights of conducting for the Pops? I loved when we brought in (Broadway-star) Hugh Panaro. He was phenomenal in presentation. He connected with everyone for a terrific night. If you could learn an instrument, what would it be and why? Study more piano. I only studied a bit in college, but would like to go back. There is so much great music written just for piano. What is the most expensive piece of equipment you’ve bought? I once spent $300 on a trumpet mouth piece. I’m lucky with the trumpet being an inexpensive instrument. What did you want to be when you grew up? Did you always want to work with music? I thought of going into the ministry before I was involved in music. I was heavily involved in the church when I was a boy. Do you have children, and are they interested in music? I have a son, who is a professor of film critique in London. He played oboe, but was more interested in media and film studies. A few teachers I had the privilege to study under when I was in high school – Sigmund Hering, a great trumpet arranger, as well as Jerry Schwartz, the first chair trumpet of the New York Orchestra. I was lucky to have on the trumpet some really fine teachers. Gilbert Johnson was also a huge influence in my life. I want to study Spanish and Portuguese so I can better communicate with friends in Brazil. I was bitten by the travel bug when I was younger and love the cultures there. But I will also be going to Temple University in Philadelphia, my alma mater, to supervise the music program. Do you have a favorite restaurant in the Ocean City? Ready’s Coffee Shop on 8th Street. I go to Yianni’s Cafe in the Community Center a lot for breakfast. If you had to listen to only one song for the rest of your life what would it be and why? J.S. Bach’s Branden Bourke Concertos #2. It is one of six concertos. This is the one that mainly features the trumpet. “You can have all the money in the world but the friends are what really matters.” I feel so fortunate to have meaningful substantial discussions with best friends. What would your best friend say your defining characteristic is? That I’m spontaneous. I’m still a kid and I like to have a lot of fun, doing off the cuff things. Favorite part of the holiday season? I love the lights and all of the music associated with New Year’s. I once received a collection of the original programs from John Phillip Sousa concerts that were held in Willow Grove, Pennsylvania, in the early 1900’s. I’m a history buff, and what is neat is that I can open the programs up and see how musical programs were planned back then. I want to study Spanish and Portuguese so I can better communicate with friends in Brazil. I was bitten by the travel bug when I was younger and love the cultures there. But I will also be going to Temple University in Philadelphia, my alma mater, supervise the music program.